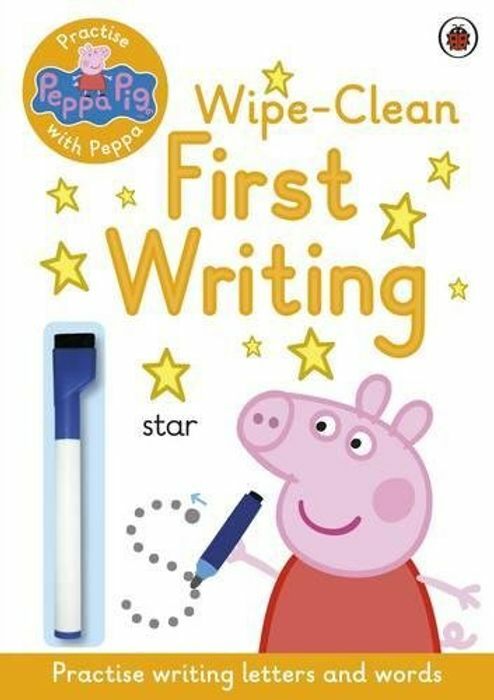 Develop and practise first handwriting skills with Peppa Pig and friends in this colourful wipe-clean activity book. Children can trace over key handwriting patterns then move on to forming first numerals and letters, including both lowercase and capital letters, before attempting some simple words. Perfect for young readers who are starting school and are learning to write, this book will help children to practise pen control and the correct formation of letters, including help for left-handers. Children can wipe the page clean and practise again and again. Includes a free pen.